Most vegetables need a neutral to slightly acidic pH to thrive. 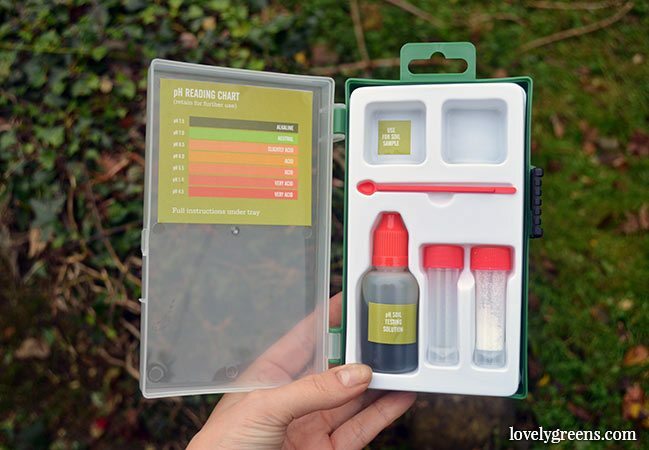 Here’s how to test for and improve soil that is too acidic or too alkaline. One of the last things you might think about in your edible garden is testing soil pH. Generally measured on a scale from 3 to 10, soil pH, or ‘Potential of Hydrogen’, tells you how acidic or alkaline it is. If it’s unbalanced, then there’s a strong chance that your plants will struggle. Fortunately, it’s easy to test for pH and there are things you can do to make the soil more hospitable to garden crops. You can test at any time of the year but autumn can be the best time. It will give you over the winter to correct your soil’s pH before the new growing season begins. Over the years I’ve hauled in and added a lot of manure and compost to my garden soil. Both help improve clay soil’s drainage and structure thus creating a better environment for soil organisms and plants to grow in. Still, I wondered if the manure had made my soil more acidic so I invested in a new pH tester. It was so easy to use! 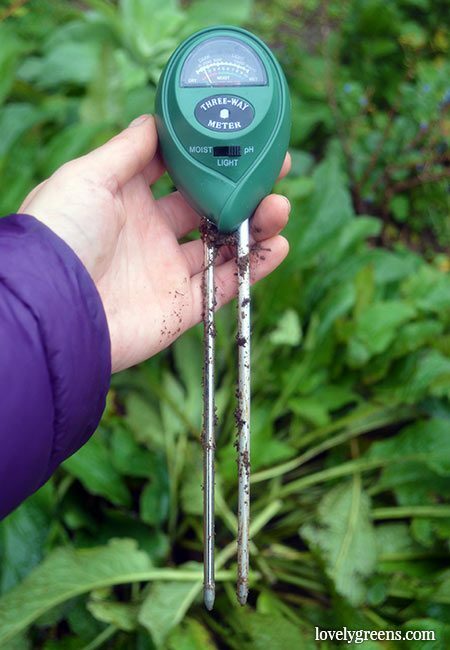 You literally push the prongs down into the ground and the display at the front tells you the soil’s pH. Fortunately mine was a happy 7 so I won’t have to amend with garden lime like I’ve done in the past. A traditional soil pH kit with test tubes and various solutions. The end colour tells you the soil’s pH. 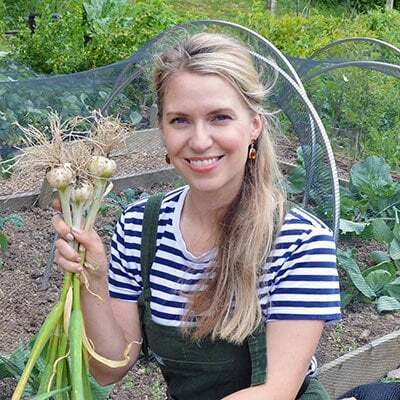 When I started my first allotment garden over seven years ago it was a blank slate — literally a rectangle of grass outlined by blue baling twine. The first thing I wanted to do was slice into that turf and make the ground ready for immediate planting. Visions of sweet corn, artichokes, and strawberries spurred me on. It was only about halfway into digging it over that I decided to test the soil’s acidity. It was clay which generally means acidic but I didn’t know by how much. To find out, I bought a traditional pH kit which includes test tubes and a chemical solution to mix with the soil. After fiddling with it out in the field I managed to get the soil inside the tube along with the liquid and powder. The end result was pH 5.5. Acidic, but not overly so and simple amendments could sweeten it up relatively quickly. 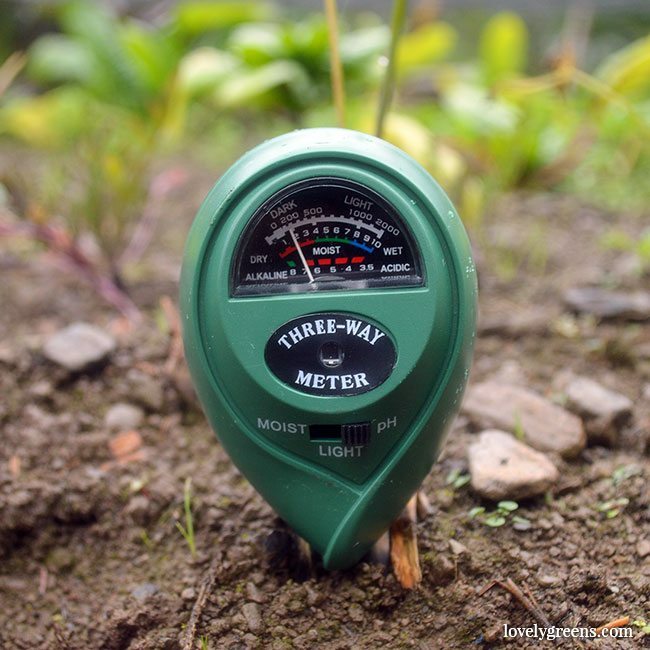 The issue with soil that has a pH of 3-5 is that it makes it difficult for most garden plants to absorb nutrients. The more acidic the soil, the more plants struggle to get the nitrogen, phosphorus, and potassium that they need. It can be there in the soil, but the pH affects how easily plants can absorb it. If they can’t absorb it, they’ll weaken and die from nutrient deficiency. 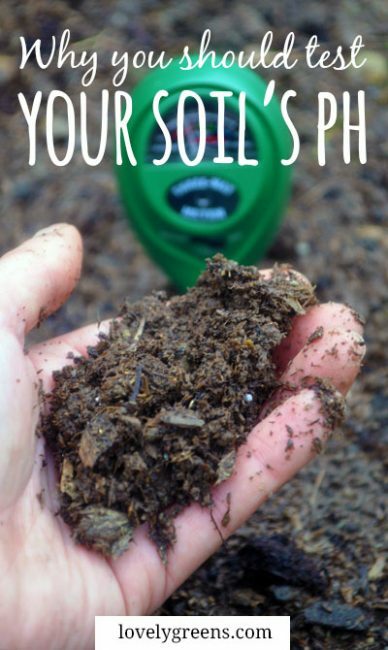 The same can go for soil that’s too alkaline (pH 8.5-10) and you’ll find it’s mainly chalky soils that fall into this category. Edible gardeners aim for their soil to be between 6.5 and 7 and it can take years of work to achieve it. Changing the pH can be done organically by adding garden lime or mushroom compost to increase the pH (make it more alkaline) or sulphur to lower it (make it more acidic). 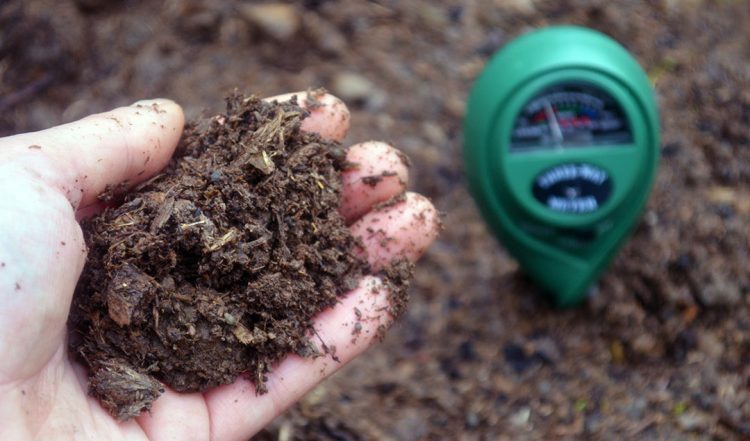 If manure isn’t completely composted, it can also acidify your garden soil. Keep in mind that it’s a lot easier to ‘Sweeten’ the soil than to acidify it. The most common way of raising the pH is to add handfuls of garden lime to your soil in the autumn. Over winter it breaks down and gradually your soil’s pH will increase. 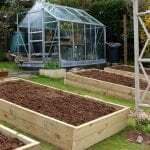 You can also add garden compost and well rotted manure to acid soil to help break it up and stabilise the pH. Finely ground sulphur is used to make alkaline soil more acidic. The way it works is that soil organisms convert the original sulphur into sulphuric acid, thus lowering the pH. 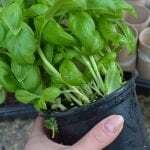 It sounds a bit scary, but this method is the least harmful to plants according to the RHS. Sulphur can take weeks to see initial results and is actually part of a longer term solution. The limestone in naturally alkaline soil will continually break down and make the soil alkaline. This means that you’ll have constant work in adding amendments, including compost and well-rotted manure, to keep it from reverting back. The other option you have is to grow plants that love your soil as it is. Blueberries and cranberries love acidic soil as do raspberries and potatoes. If you have alkaline soil there are veggies for you too! Asparagus, cucumbers, and alpine strawberries will all thrive in soil that other edible plants won’t like. There’s a great table of garden veg that love acid or alkaline soil over here for you to continue your research. Adding organic matter is a great way to balance soil pH gradually. Your new meter looks nice and easy to use. 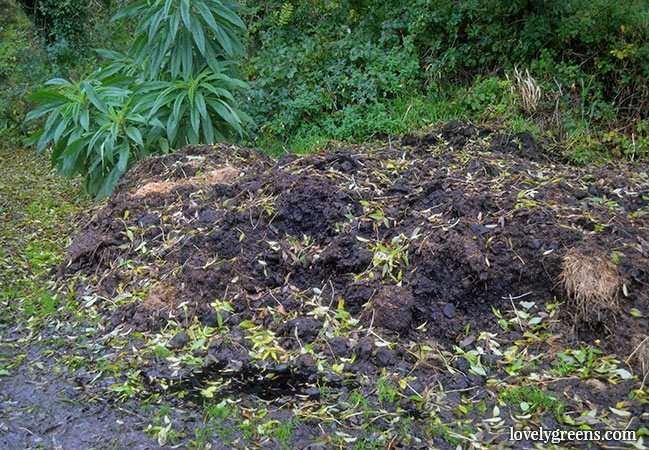 Compost and well rotted/composted manure can do wonders!